Civil Treatment Impact: Focus on Sexual Harassment Prevention teaches employees the skills necessary to help prevent sexual harassment in the workplace. It provides an enhanced understanding of the business risks and was designed to address the California, Maine, and Connecticut requirements for sexual harassment training. 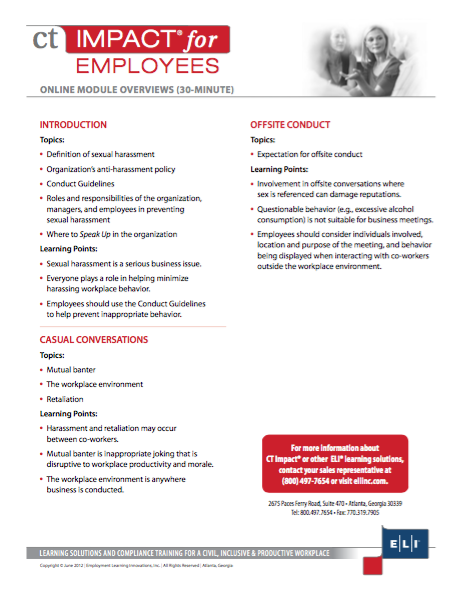 This course reinforces concepts introduced in Civil Treatment for Employees and provides an enhanced understanding of the business risks of sexual harassment. Using ELI’s proven learning approach, CT Impact: Focus on Sexual Harassment Prevention teaches practical skills through an interactive online format that includes realistic workplace scenarios, memorable behavioral guidelines, and skills-building exercises. This program covers a range of topics crucial to addressing and preventing workplace sexual harassment. 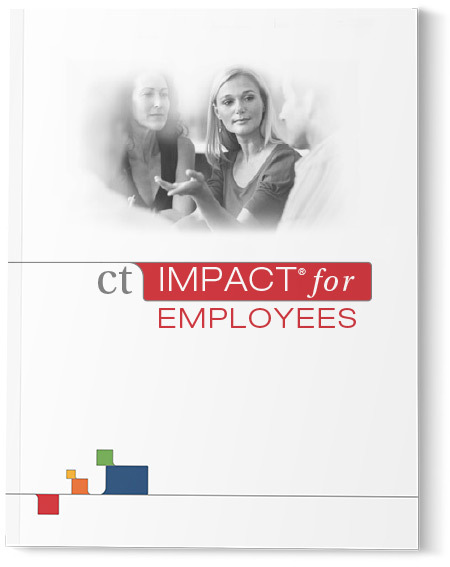 CT Impact: Focus on Sexual Harassment Prevention is available as a 30-minute online program.